Bill Clinton is also known as William Jefferson Clinton. He is an American politician, 42nd president of United States from 1993 to 2001, autobiographer, writer, ambassador, democrat, lawyer, scholar & governor and an activist. He was born on 19 August 1946 in Hope, Arkansas, United States. Clinton was the second impeached U.S. president after Andrew Johnson. Bill Clinton was born in Hope, Arkansas. William Jefferson Blythe, Virginia Cassidy Blythe are parents of Bill Clinton. His father died in an accident three month before Clinton was born. Virginia moved to New Orleans to study nursing. She left her son with her parents Eldridge and Edith Cassidy in Hope. Clinton`s mother returned from nursing school in 1950 and married Roger Clinton, the owner of automobile dealership in Hot Springs, Arkansas and the family moved to Hot Springs, Arkansas. Bill Clinton attended Hot Springs High School, Ramble Elementary School, and St. John’s Catholic Elementary School in Hot Springs. He was an active student leader and a star Saxophonist for the school band. Bill Clinton was enrolled in the University of Georgetown in the year 1964. Clinton won an election for the class President in 1964 and 1965. In 1968, he received a Bachelor of Science in Foreign Service degree. Clinton joined in the Oxford University with the prestigious Rhodes scholarship won by him. Clinton joined Yale Law School and earned a Juris Doctor degree in 1973. He met Hillary Rodham, who shared his political ambitions and they married in 1975. After completion of studies, he started his career as a professor of law at the Arkansas University. Bill Clinton started his political career in 1974 by joining the Democratic Party. He got elected for the post of Attorney General of Arkansas in 1976. Clinton lost the race, but it was closer than expected. In 1978 Clinton was elected Governor of Arkansas and at the age 32, he become the youngest governor in the country. He worked closely with his wife Hillary. Clinton worked on the State health care and education systems. However, he made several mistakes as governor. In 1980 general elections Clinton was defeated by Frank D. White. In 1982, Clinton won the second time as governor. He improved education system, welfare and health care. Clinton was elected as president in November 1992. During his first Presidential Term, Clinton enacted a variety of pieces of Domestic legislation, Violence Against women Act, Family and medical leave Act, key bills pertaining to crime, education, gun violence, the environment and welfare reform. He also signed on Universal health insurance for all Americans. He appointed Hillary Clinton to head the Committee charged with creating the plan and he also appointed a number of women and minorities to key government posts, including Madeleine Albright, who was sworn in as the first female U.S. secretary of state, Janet Reno, who became the first female U.S. attorney general, Ruth Bader Ginsburg to the Supreme Court, who was second female justice in the country’s history. In 1996 Presidential elections, Clinton was re-elected, and he defeated U.S. Senator Bob Dole and Ross Perot. During Clinton’s second presidential Term, unemployment in the US was low and the economy was healthy. The United States achieved its first federal budget surplus in three decades in 1998. Clinton signed the legislation establishing permanent normal trade relations with China in 2000. In 1998, America launched air attacks against Iraq’s nuclear, chemical and biological weapons programs. 19 December 1998, the U.S. House of representatives impeached Clinton for perjury and obstruction of justice in connection with a sexual relationship with White House intern Monica Lewinsky. He was the second impeached American president. Clinton continues to be active in public life, establishing the William J. Clinton Foundation, giving speeches and fundraising. 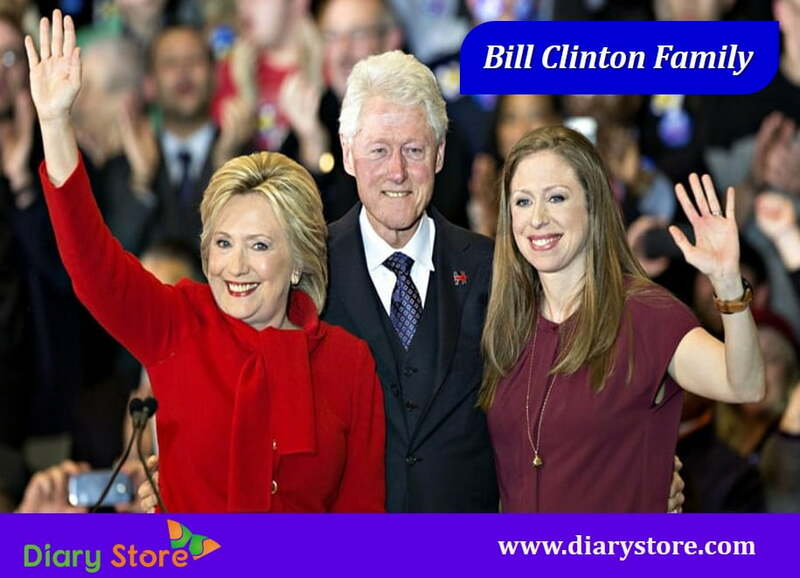 Clinton released his autobiography, “My Life”, in 2004 which became a best seller. In the same year Clinton opened The William J. Clinton Presidential Center and park in Little Rock, Arkansas. In 2000, he campaigned for his wife, who was elected to the U.S. Senate from New York. Clinton received honorary degrees from various colleges and universities, including Doctorate of Law degrees and Doctor of Humane Letters degrees. In 2001, Clinton was presented with the Medal for Distinguished Public Service by Secretary of Defense William Cohen. In 1992, Clinton was selected as Time’s “Man of the Year” and again in 1998, along with Ken Starr. Clinton was honored with a Germany Award for Best Spoken Word Album for Children, a TED prize (Technology, Entertainment and Design), a William Fulbright prize for International understanding and was named as an Honorary GLAAD Media Award recipient for his work as an advocate for the LGBT community. On November 20, 2013 U.S. President Barack Obama awarded Clinton the Presidential Medal of freedom. “I learned a lot from the stories my uncle, aunts and grandparents told me: that no one is perfect, but most people are good; that people can’t be judged by their worst or weakest moments; that harsh judgments can make hypocrites of us all; that a lot of life is just showing up and hanging on; that laughter is often the best, and sometimes the only response to pain."